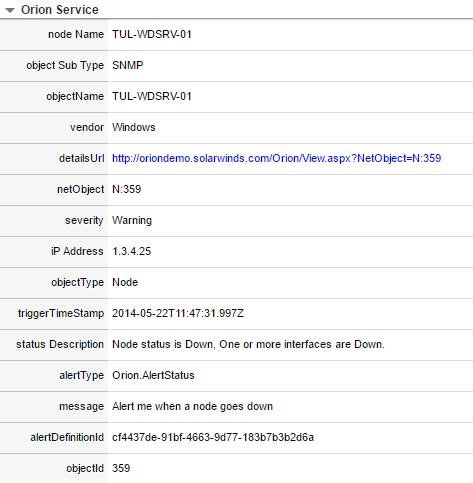 Below is an example of a Web Help Desk ticket generated from a SolarWinds Orion Platform alert. The fields included in the ticket are not an all-inclusive list. Web Help Desk ticket fields can vary, depending on the data included in the Orion alert. The field names shown below are examples of what you can use in the filtering rules. Below are some notes that appear in the Web Help Desk ticket from the Orion alert.